Children can seem a complete mystery. What they eat is hard enough to work out, let alone what interesting toys they might want for their birthday or for Christmas. And it is not always easy to remember birthdays. 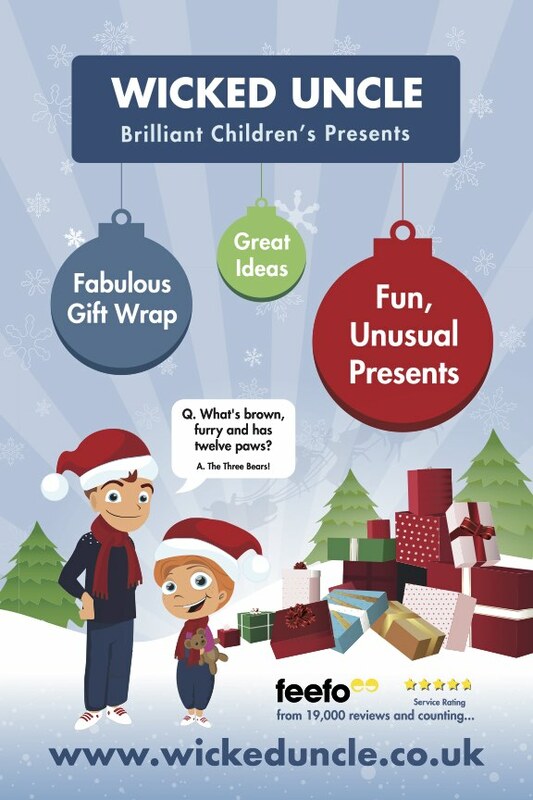 We have scoured the world to find a really useful selection of fun, unusual and different presents for children. We test every potential present before it goes on our website - we build the robot kits, paint the fairies, doodle with the pens, play the games and yes, we even wear the t-shirt! We can giftwrap your presents, send them direct with a handwritten birthday or Xmas card and even send you a birthday reminder every year. In the unlikely event that you get it wrong and you end up buying something that he or she already has or really doesn't like, then return the unused present to us and we will credit you so you can replace it with something else. We are a community of small, pointy-eared elves based in a large warehouse in the the deep countryside somewhere over the rainbow near Elveden (really!) with a mission to provide brilliant toys for boys and girls. We have an office with some token people in it in London. The company was founded by Mike O'Shea, a former employee of the multinational S. Claus Toy Corporation to do cool stuff all year round and have fun. We do lots of research on toys and many of them are extensively tested by real children led by Patrick X O'Shea, Chief Toy Tester. The team has recently been expanded and we not only have Harvey the Dog, but also Alex, the Wicked Uncle Cat. Why are you called Wicked Uncle? Because it sounds cool. Unfortunately the term "wicked" may no longer be down with the kids, but anybody over 30 knows what we mean. And it is a great name for a toy shop. What is brown and sticky ? A stick. My girlfriend said she was going to leave me because of my obsession with the Monkees. I thought she was joking. Then I saw her face. How many Germans does it take to change a lightbulb ? One. How many mice does it take to change a light bulb ? I imagine a great many. Mice would individually lack the strength or dexterity required. If you become a customer and buys stacks of cool toys for boys and girls, we will send you even more of these brilliant jokes. And finally, here is our favourite other site on the web. It is called Storynory and it is full of original, free audio stories for children. Great for bedtimes or car journeys. They have even written some stories about a really cool character called The Wicked Uncle inspired by us. Here are some photos of our 2018 Christmas adverts in action - in London, Manchester and Washington DC. Our site was created by Sound in Theory in Exeter, Devon. It has also got a really neat backend which we are very proud of. If you need an ecommerce site, give them a call. Tom Bates, 01392 499498 tom@soundintheory.co.uk.